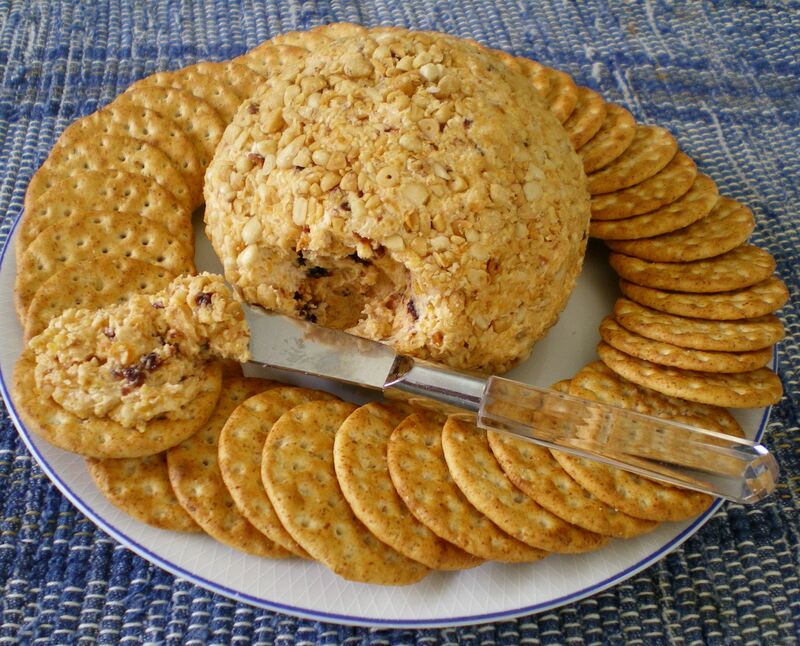 Apricot Cheese Ball « Great Lakes International Trading, Inc.
Chop apricots and dried cherries in a food processor. Combine with the cream cheese and cheddar cheese. Toast pine nuts and chop them when cooled. Form the cheese mixture into a ball and roll in the chopped pine nuts. Cover and chill for 2 hours before serving.